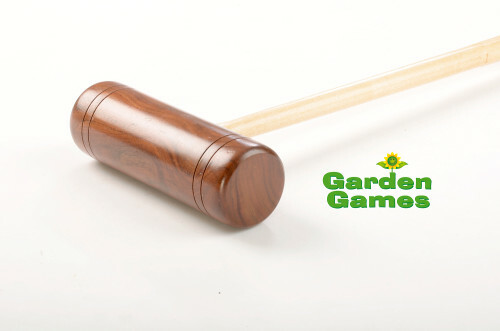 The Townsend mallet has a beautiful hand turned Rosewood head rounded edge which gives strength and durability. The solid Ash handle is turned at the bottom and octagonal at the top end which helps the player line up that all important hoop shot while the leather grip provides comfort and adds to the quality feel of this mallet. This mallet is available in two lengths 34” and 38” to suit player of different heights. The strength and durability built into the Townsend mallet means you will be enjoy its good looks and craftsmanship season after season.